ABOVE: Nature & Culture’s entrepreneurial conservationists don’t work on grants, they are employed full-time with benefits. What sets us apart from other organizations is more than our efficiency and ethic, it’s the people who work for us. We are a lean group of devoted conservation experts whose aim is to achieve the greatest results by putting financial and logistical resources where they are needed most – on the ground. Renzo has broad experience in the field of conservation. He served as coordinator of the United Nations Geo-Loja report, and was president of the Regional Council of the Catamayo-Chira river basin. In recognition of his efforts, Renzo received the Podocarps Award from Loja’s Provincial Council for his efforts in conservation and environmental management. He holds a Master’s in Zootechnics from the People’s Friendship University in Moscow. Bruno, an ecologist, directs our programs for community development in southern Ecuador, working on both social and environmental aspects. 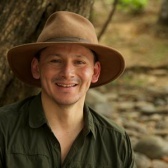 He also directs our largest project at La Ceiba-Pilares in the dry forests of Zapotillo. 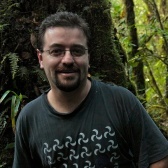 Bruno has a Master’s in Ecology from the University of Brussels, Belgium. 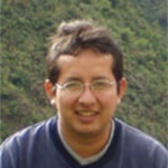 Fabián, a biologist, is the regional coordinator for our office and projects in the Cuenca region of southern Ecuador. He has published on bird conservation and on the use of GIS for protected areas. He also served as a university professor from 2000-2002. 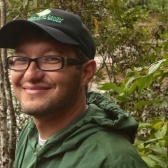 Fabián has a post-graduate degree in population ecology from the University of Costa Rica. Felipe coordinates our Biosphere Reserve program as well as our Andes-Amazon initiatives and the community programs at Colambo-Yacuri. He has a Master’s in Management of Tropical Biodiversity from San Pablo University, Spain, and was a university professor from 1999-2002. 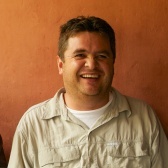 Felipe is the founder of the Azuay Herbarium and president of Funbotánica. 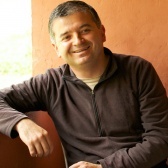 César is a veterinary doctor and environmental lawyer. He worked for several years on conservation projects for the Podocarpus Foundation before joining our team. César created the Protective Forest “Servio Aguirre” over forest lands he owns, and founded a regional organization for landowners focused on conservation. In his free time, César enjoys photography and collecting books and documents about the history of Ecuador and Loja. José is an agronomist with a Master’s in Agricultural Engineering who coordinates development projects based on sustainable productive use of native species such as the cherimoya and the toronche (a highland papaya) within environmentally-friendly agroforestry systems. The majority of his work takes place in the western part of the Colambo Yacuri Protected Forest, although he’s recently begun supporting our team in Alamos, Mexico. Pedro manages operations at our San Francisco Science Station, within the Podocarpus National Park. 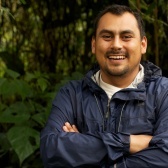 He also manages our Laipuna Research Station in the tropical dry forest of southern Ecuador. He has a degree in Environmental Management from the Technical University of Loja, and postgraduate studies at the People’s Friendship University in Moscow. Trotsky is an environmental engineer who coordinates the activities for our Zamora office. He is a specialist in habitat restoration and community engagement, and conducted his thesis at our San Francisco Science Station. 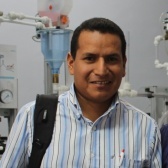 He is also a professor at the Technical University of Loja. Jennifer guides the overall management plans that focus on achieving our Monte Mojino Reserve’s (ReMM) mission. She and her husband have lived in Alamos for over 20 years, where they have raised their daughters, Salina and Elly. Jennifer is very involved in the Alamos community and sits on several boards that help to promote tourism, conservation, and improving the lives of the people in Alamos. 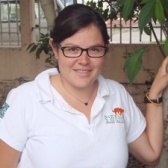 Lydia is involved in the day-to-day operations of ReMM, working closely with the field staff and with Nature & Culture’s colleagues at Comisión Nacional de Áreas Naturales Protegidas (CONANP). She has considerable experience working with various Mexican federal agencies as well as the broader Mexican conservation community. She has a degree in Biology with a specialty in Zoology from the Universidad Autónoma de Sinaloa. She and her husband, also a biologist, have a daughter, Violeta, who has a keen interest in nature. Alex is a biologist with extensive expertise in biodiversity research and local conservation, and supported the Regional Government of Piura in the development of its first Regional System of Natural Protected Areas. He has conducted biodiversity surveys in northwest Peru since 2002, and has played a key role for the establishment of protected areas like Salitral and Huarmaca of 72,000 acres. 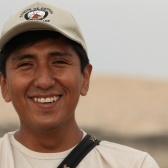 Alex enjoys painting and sculpting charismatic species of the Piura ecosystems. 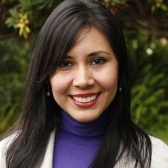 Now based in the Del Mar, CA office, Silvia served as the staff director for our programs in the Peruvian Amazon for three years, working closely with governments, communities, donors, and the private sector to develop and manage our programs to protect the Amazon rainforest. Born in Iquitos, a major city in the upper Amazon, Silvia is a former international business manager whose personal experience led her to devote her talents to the conservation of ecosystems and ancient cultures. Read her article in the Huffington Post here. 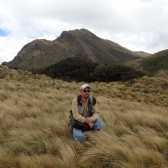 Paul is a biologist who works on initiatives in the Andean Program for our northwest Peru office. He has conducted biodiversity surveys in the mountain ecosystems of the Piura region and has extensive experience working with communities to bring about positive conservation outcomes that benefit local people.